Looks tempting, huh? Yes, I have a Whole30-friendly Char Siu recipe and you can use it to make Hiyashi Chuka (a.k.a. cold “ramen” salad)! Asian food is my lifeblood, but as I’m sure you know, it ain’t easy finding Whole30-compliant dishes from the land of my peoples. 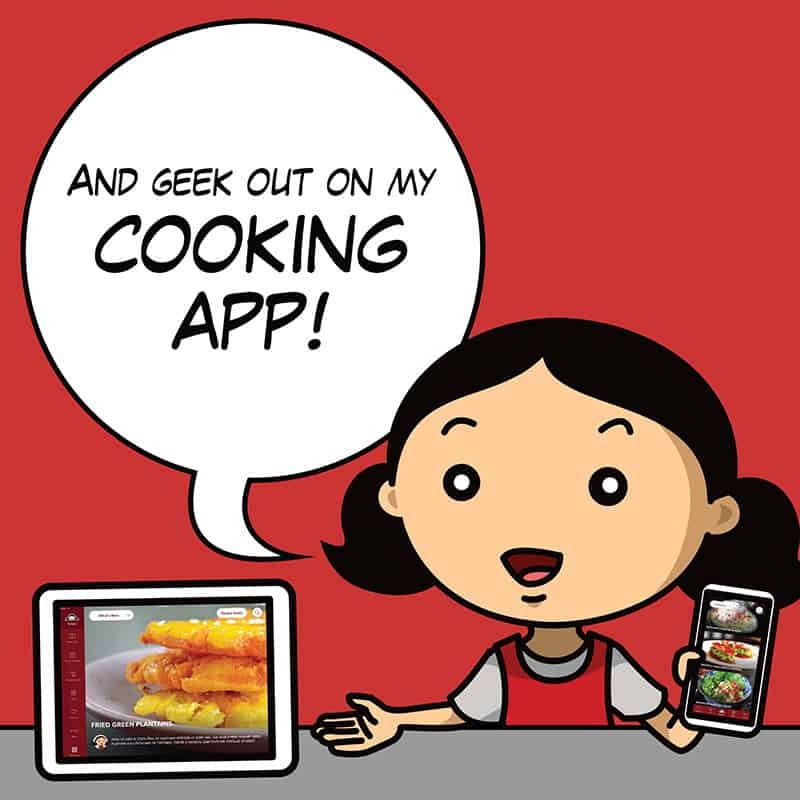 It’s not that the cuisines of Asia aren’t rooted in real, whole foods. (Remember our hand-harvested, on-site farm lunch in Northern Thailand?) 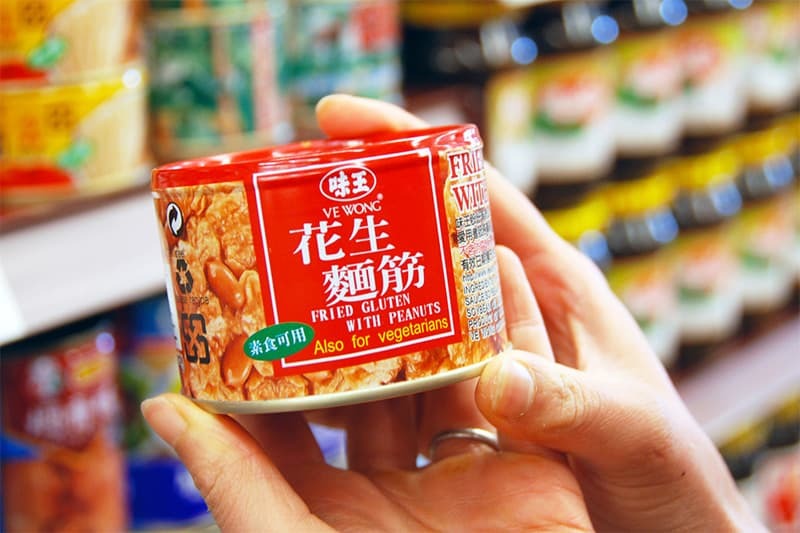 But especially over the past few generations, industrialized food production—which has helped feed billions—has also led manufacturers down the path to using hyper-processed ingredients that are adulterated with all sorts of badness. Pretty sure this isn’t Whole30-compliant. 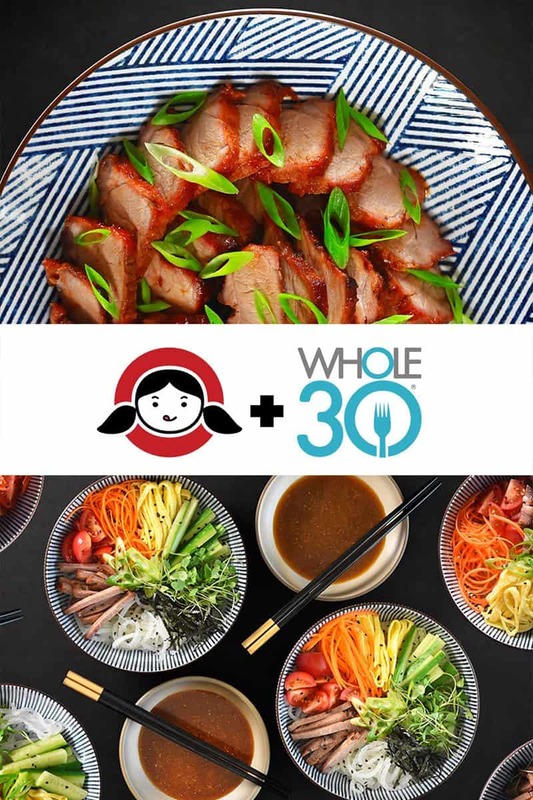 Years ago, I resigned myself to the fact that there were some Asian dishes (and many family recipes) that I’d never be able to make Paleo, let alone Whole30-friendly. Many of these dishes required non-compliant ingredients like wheat, soy, sugar, and terrible oils and fillers. For instance, many soy sauce brands contain gluten, and store-bought hoisin sauce contains gluten, sugar, and other chemical weirdness. 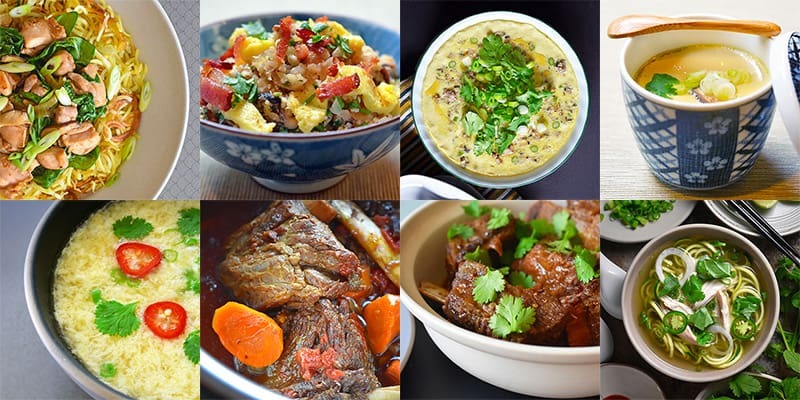 But I’ve never stopped trying to make Paleo and Whole30-friendly versions of the Asian dishes from my childhood that I especially loved. Paleo Chawanmushi (Savory Egg Custard)! Bò Kho (Vietnamese Beef Stew) and Pressure Cooker (Instant Pot) Bò Kho! Slow Cooker Korean Short Ribs and Instant Pot (Pressure Cooker) Korean Short Ribs! Instant Pot (Pressure Cooker) Chicken Phở! 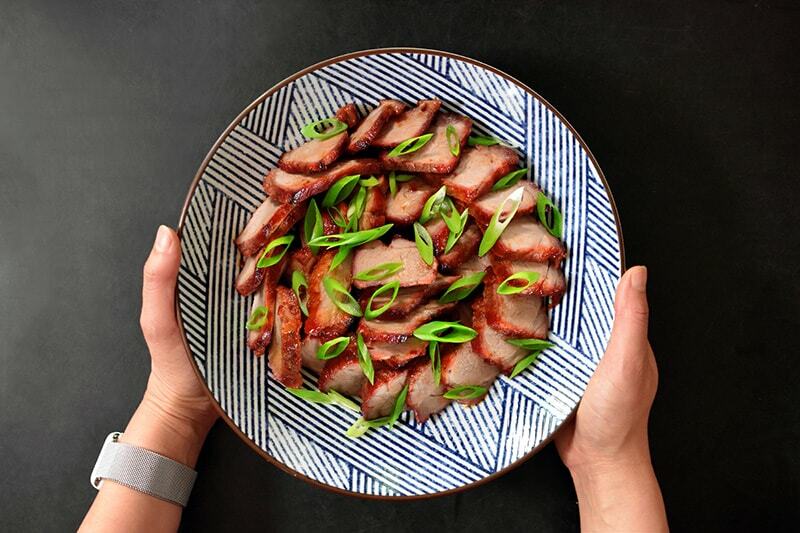 But there are two Whole30-friendly recipes in particular I want to share with you today: Paleo Char Siu (a.k.a. Chinese BBQ pork) and Paleo Hiyashi Chūka (Cold “Ramen” Salad). Why? Because once you make the former, the latter is easy to throw together later, making these dishes a perfect one-two punch during the week. So who’s ready for some Whole30 Char Siu Hiyashi Chūka? My Paleo Char Siu is my version of Cantonese roasted pork—the bright red hunks of meat hanging in the display windows of Chinatown BBQ joints. Trust me when I tell you that this stuff tastes just as good—if not bettter—than the real deal. Grab my Paleo Char Siu recipe here! 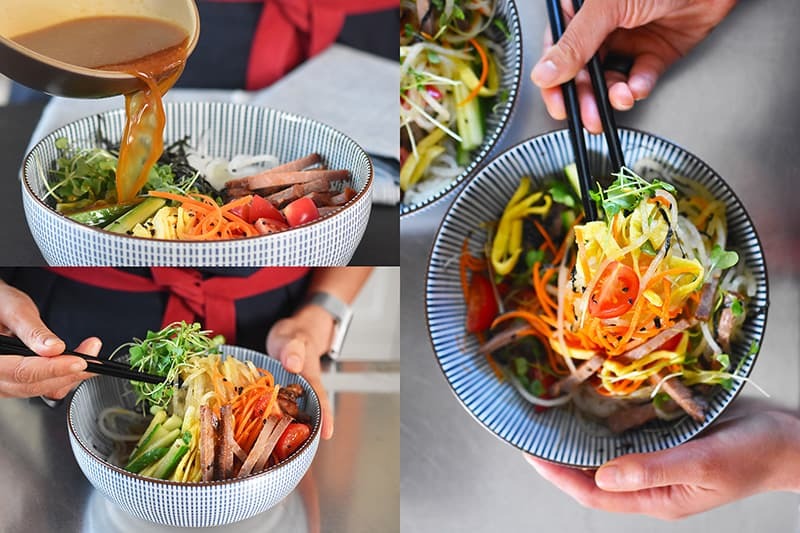 Once you have some Paleo Char Siu at the ready, you can easily whip up some Paleo Hiyashi Chūka! This is a bright and refreshing Japanese cold “ramen” salad served with a variety of toppings and seasoned with a sweet, chilled sauce. This version is entirely Paleo and Whole30-friendly, so check it out! Grab my Paleo Hiyashi Chūka recipe here!